This is old version YouTube 11.29.54 apk for Android, you can install it if you want to downgrade or install old app. It is top Media & Video apps from Google Inc.. Moreover, you can also search for any videos from YouTube easier. Furthermore, after you found a video that you want to play, this application allows you to navigate the video as easy as navigating videos on YouTube browser version. Besides those useful features, it also has basic features as it goes in the browser version. One of the most popular features is uploading feature. You can upload your video on YouTube right after you record it. This application supports editing features. Besides adding annotation, you can also cut and merge videos before uploading it. All you need to do is login to your Google account and upload your video. In addition, edit the video if it is necessary before you publish it. Once our video is uploaded, your viewers can give comment on your videos. 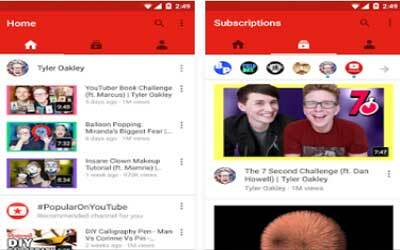 Youtube for Android is designed for those who prefer to play favorite videos through the Smartphone.